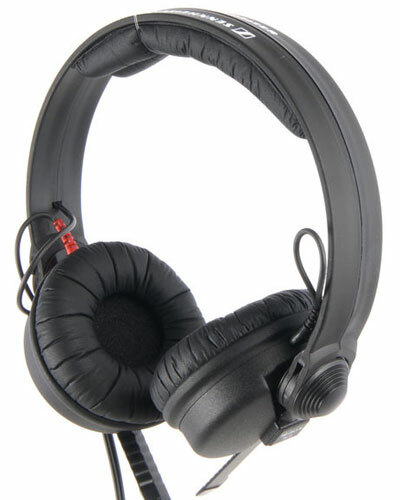 For professional audio monitoring we offer the Sennheiser HD2501 II headphones. These closed-back headphones offer high attenuation of background noise and perform very well in high-noise environments. Ideal for use with our Edirol R-44 or the Tascam DR-60D recorder. We also recommend them for monitoring sound on the Sony PMW-200 cameras. The headphones are equipped with a 1.5m cable ending in a 3.5m stereo jack.